Are you ready to make a change to a fitter, healthier you? Sign up for our 3 for 2 Personal training sessions and find out what a difference having a Personal Trainer can have! Personal training is just that.....personal. It's about you, your goals, your results. Let our team of experienced personal trainers help you take the first step to a healthier, fitter you. Do It In 12 is our exclusive 12 week guaranteed results personal training package. Focused on getting the results you desire. 12 weeks is the perfect time for forming life long healthy habits and achieving your results. Need a group to keep you motivated? A bunch of like minded people to push you when the going gets tough. Why not come along and try one of our group fitness classes. Forget a big, intimidating gym, the small but perfectly formed gym at Marshall Court has everything you need for your workout. Combined with a friendly atmosphere, it's the perfect place to achieve your goals. motive8 North was established in Leeds by Personal Trainer, Jenny Cromack, in 2011. With over 20 years experience, Jenny is as passionate about delivering results as she is about her own training. Unlike the typical 'sargeant major' bunch, we're a team of friendly personal trainers! With a wealth of knowledge and experience we will motivate you towards your goals, whatever they may be. Motive8 is one of Leeds’ leading personal training companies, specialising in 1:1 and group personal training. Proud of the results we achieve with our clients, our mission is to show you how exercise and healthy eating can become part of your lifestyle, for the long term. We’re not into quick fixes or the latest fad diet. Instead our team of expert personal trainers will inspire and educate you so working out and following a healthy, balanced diet become part of your DNA without being a chore. We have two state of the art fitness studios in Leeds. In addition to personal training, our Marshall Court studio also offers group fitness classes and a gym membership, whilst our Saxton studio offers semi-private and private personal training sessions. Not sure what you need to be doing to achieve your goals? Know what to do but lack the motivation? Personal training may just be what you need. As a team of personal trainers we’re passionate about delivering the results you want. Bespoke workouts combined with nutritional and lifestyle support is our recipe for success. We love to share our knowledge. Educating you about why you’re doing, what you’re doing is the key to making your new habits part of your long term lifestyle. If you like a set goal, clear focus and commitment to a deadline then Do It In 12 is for you. Driven by results, Do It In 12 is our specially formulated guaranteed results programme. Based on 2 personal training sessions per week, with nutritional support and monthly training plans, we focus on cementing good habits to make healthy eating and exercise part of your day to day routine. Agree your goals at the start, commit 100% to what you need to do to achieve them, and we guarantee you will hit your goals in just 12 weeks. Small but perfectly formed, with everything you need for an effective workout, Marshall Court offers a monthly gym membership. Our ambition at Marshall Court is to create a friendly workout environment, where people train with one purpose….to get results. Only £25 for gym membership or £40 for gym membership and unlimited classes. Do you love the camaraderie of working out in a group? Enjoy the friendly competition or the support of a team when the going gets tough? Join one of our outdoor classes at Marshall Court and let our expert personal trainers motivate you through your workout. See your fitness levels soar, torch calories and strengthen and tone up! Sometimes your body needs a little bit of TLC which is why we offer Sports Massage and Biomechanics Assessments. Ease your aching muscles or address those niggles with a sports massage. Concerned that you may have muscle imbalances or the long hours sat at a desk may be affecting your posture, sports performance or general day to day life, then book a Biomechanics Assessment. We're proud of the support we give our clients. We're not your 'wham, bam, thank you ma'am' type personal trainers. We spend time supporting and educating you so that you are empowered to make healthy lifestyle choices and lifelong changes to your health. Your personal training sessions are supported by your own personalised workouts for you to perform in your own time. Updated on a regular basis to make sure you're always progressing towards your goals and you don't get bored! What makes us stand out from the crowd, we believe, is the regular support we give our clients. We're not ones to just turn up, put you through your paces then leave. We like to make sure we're in contact with you on a regular basis, whenever you needs those words of motivation! I started training with motive8 because I used to park outside the studio every day to pick my wife up from work and used to see the exercise classes and thought “that looks like fun”. When I got engaged I got “the fear” as I wanted to be in shape for our wedding so came down for an chat and induction. My initial goals were just to shed some weight to look better in a suit. From years of being overweight I had resigned to the fact that I was never going to have a six pack or toned physique but I just wanted to look and feel ok on our big day. 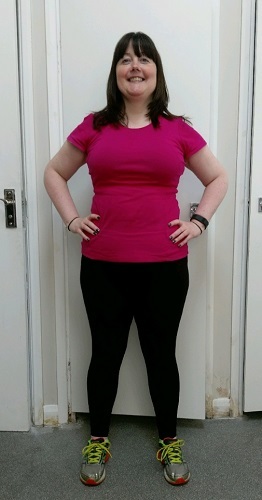 A few months before our wedding I had gotten down to a 34” waist trouser something I had not been since I was a teenager and then after conversations with Alex I started to change my goals towards getting the beach body I didn’t think would be possible. I am still working towards that goal but getting closer and closer every few months. I have recently started to reduce the running and cardio I have been doing and have started enjoying lifting weights more than I thought I would. I am now stronger, fitter and healthier than I have probably ever been as an adult and approaching 30 next month in the best shape of my life. The thing I enjoy the most about training with motive8 is the atmosphere In the gym. The fact that it is a small studio is not to it's detriment as it actually means that there is always good banter and the gym very much has a family feel to it. My personal training sessions with Alex and the fact that you can talk to all of the other PT’s in the gym has really helped to develop my understanding of health and fitness and I would now say it is a topic that I am actively interested in learning more about which obviously helps me achieve my nutritional and exercise goals. In 29 years I have always enjoyed sports such as football, tennis and basketball but previous to ,otive8 I had never enjoyed the gym (it always felt like a chore). Now going to work out at Motive8 has become my leisure time and I enjoy (almost) every session. I'VE DROPPED MY BODY FAT TO 7%, HAVE THE START OF A 6 PACK AND HAVE SMASHED MY DEADLIFT AND SQUAT TARGETS! I joined motive8 when my business moved to Marshalls Mill in 2014 and I needed to change the focus of my training from running after key hole knee surgery. My initial goal was to maintain and improve my overall fitness, I achieved this by going to the group classes in the evenings. The classes are run by one of the Personal Trainers from motive8 which means that, alongside the banter, the classes are very well planned, focused on key outputs and are really challenging. It was clear that the Personal Trainers at motive8 are well trained experts and I wanted to step up my overall fitness and more importantly strength, so I thought that a few months of personal training would help. My initial brief was vanity, acquiring a ‘sporting physique’, and to get physically get stronger. The two months turned into two years! I still have PT but I also I train on my own to the programme Alex has developed for me and still fit in a few classes over the week. I like to think that I work hard at managing both my diet and working out in the gym, however the guidance from experts has really ensured that I have hit all my initial goals. I have dropped from 19.5% body fat to 7%, so finally have some abs on show, and have added muscle to maintain my bodyweight. I recently smashed my one rep maxes with a 150kg squat and a 170kg deadlift, so I am feeling pretty strong too. Moving forward I want to tailor my training to prepare me to get out in the great outdoors mountain biking and climbing. Overall, the Personal Trainers at motive8 aren’t your usual run of the mill, they haven’t just done a two week course and been let loose. The personal training team at motive8 all have as a minimum relevant degrees and experience in coaching/training which ensures incredibly high quality advice worth paying for. The people make or break any business, experts at what they do and nice people, motive8 has got that spot on. 7% BODY FAT LOST & OVER 14CM ON MY WAIST! Before Steve started our personal training programme ‘Do It In 12’ he had never lifted weights before. His 1 rep max is now 50kg for bench press and 90kg for deadlift – not to shabby for someone who hadn’t lifted a barbell before! Alongside this Steve has lost over 7% body fat, 14cm from his waist and 63cm in total, these are phenomenal results in just 12 weeks! Not only has Steve seen these amazing results but he has also learned how exercise and healthy eating can be part of his life forever. After all, a healthy body is for life not just for 12 weeks…..
DO IT IN 12 IS ONE OF THE BEST THINGS I EVER DID! Wow, Stephen has absolutely smashed his Do It In 12 goals! 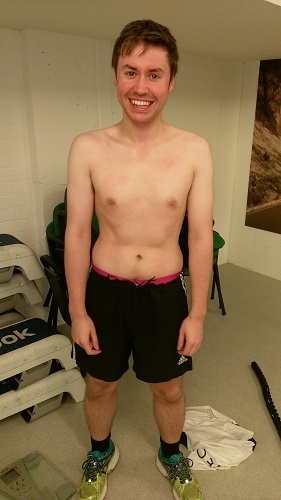 When Stephen first started personal training with motive8 his BMI would have placed him in the obese category, whilst he would still be classes as 'overweight' on the BMI, a body fat of just over 11.5% clearly shows this is not the case! Stephen has lost over 10kg, that’s 20 x 500g bags of sugar…wow!) and almost 65cm (25 inches in old money), an absolutely phenomenal result! 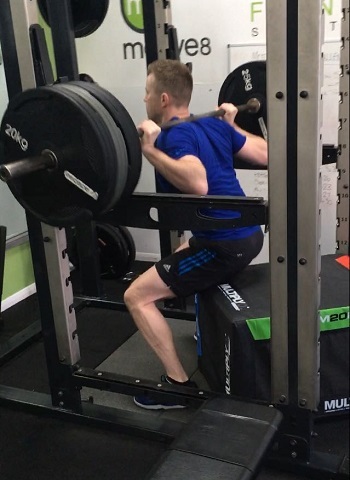 Not only this, but Stephen's posture has massively improved, his movement patterns are much better than when he first started training with us, and his strength has significantly improved. Amazing work, well done Stephen! FIT & FIFTY, NOT FAT & FIFTY! 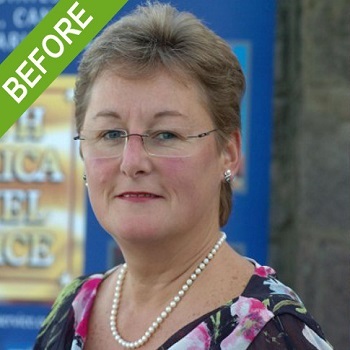 When Ruby initially started training with motive8 her goals were to get fit and lose weight for her 50th birthday. Not only did she smash this, losing over 4 stone and over 70 inches, 10 years later Ruby has maintained this weight loss, taken part in various 5k's, 10k's and Tough Mudders! Despite having a busy, demanding job as a MD of a travel company, Ruby still manages to train four times per week and follow a healthy diet, whilst enjoying the odd glass of champagne! I WANT TO LOOK AMAZING ON MY WEDDING DAY! I started the Do It In 12 Programme with Kate in preparation for my wedding, I knew Do It In 12 was the perfect thing to help me to get into shape and look my best! I’ve made a few vague attempts to lose weight in the last couple of years, but never really stuck at anything. I knew that the structure of Do It In 12 and the constant support off Kate, my personal trainer, would make all the difference – and it did! 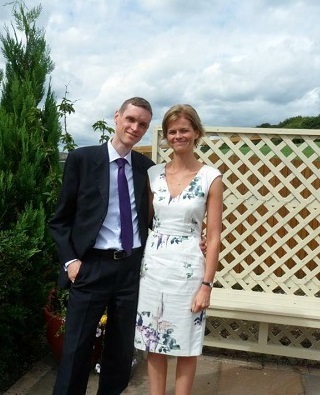 Kate has been brilliant, I’ve often struggled with dizziness and feeling faint during exercise – and in the past this has made me quit altogether. I did have some dizzy spells in my first few sessions, but due to Kate's encouragement I didn’t give up this time – and I’m very happy to say it hasn’t happened since! Another big challenge was getting over my fear of going to the gym by myself. It sounds silly looking back, but I was so intimidated and nervous that I just didn’t go at all. I’m so much more confident now and actually enjoy going to the gym! I'm over the moon that I've lost over 5% body fat and over a stone in weight, but there’s so many more little things that I’m really proud of as well. For example, the fact that I can now hold a plank for longer than 30seconds without collapsing is a big achievement! Also that I can train with weights, something that I was clueless about before. My running has hugely improved as well – my 5k PB has dropped from 35:09 to 31:21 and I'm determined to run 5k in under 30 minutes! A FITTER, HEALTHIER, LEANER ME! I've been training with motive8 for about 6 years now (I think), starting off with the 6pm fitness classes 3 times a week. I only started as I wanted to get fit, get in shape and to hope by 7pm the traffic on the M62 had died down! After a few years, I felt I was getting stuck in rut, I'd toned up, got stronger, fitter, clothes fitted better...I was even running 5k's! I spoke with Jenny and she listened and she suggested 2 classes a week and plus a weekly personal training session. Soon I was deadlifting, squatting, chest pressing and so on, and using crazy weights! All down to the belief of Kate knowing that I can do it and I did it. I felt immensely proud of myself and sore too but sore in a good way! Sadly, I was made redundant in March of this year. Everything had to stop. I suddenly became round, out of shape etc. So back at the end of August when I'd settled into my new job I signed up to do Do It In 12 with Kate. Now for me, it wasn't about losing weight, I didn't want this to be the main focus, I just wanted to feel fitter, stronger, better shape and to see if I could still lift all those crazy weights, with Kate's help I successfully did it. Now I'm training once a week with Kate, doing a circuits class, a 5k run and walking as much as possible each week. I'm ready to set some new goals for 2018 too! All in all, I enjoy training with Motive8, they push you to achieve what you are after without you realising you are actually doing it! WHY I LOVE TRAINING WITH MOTIVE8! 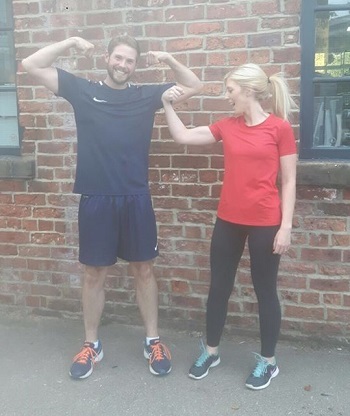 My daughter, Liz, and son-in-law, Joe, have been training with Jenny at motive8 for some years and I have seen them get fitter and slimmer and look generally healthier and more alive! Liz brought me buddy sessions with her as a trial for my 66th birthday present in March 2015. Believe me, it is the best present I have ever had. I went along and met Jenny and talked about myself, my lifestyle and my goals and how I could achieve them. My initial goals were to lose half a stone and get rid of some of the fat around my middle and tone up my fat arms. 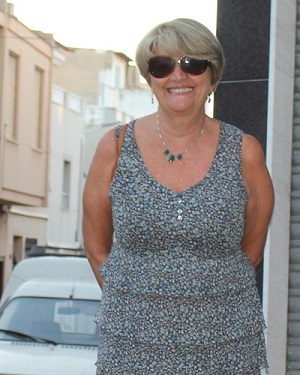 This had become more important as we bought a house in Spain a few years a go and spent a lot of time there and swimsuits, sleeveless tops and dresses and short are the order of the day and I felt even fatter when exposed. First day, Jenny weighed and measured me all over and we talked about what my targets were, both short and long term. I worked alongside Liz with lighter weights and easier moves. One of the hardest things at first was to stop yo-yo dieting and start eating sensibly and more healthily. This often involved eating more than I normally would, but I did not feel hungry. Jenny’s help and recipes on the website has re-educated me on healthy eating. 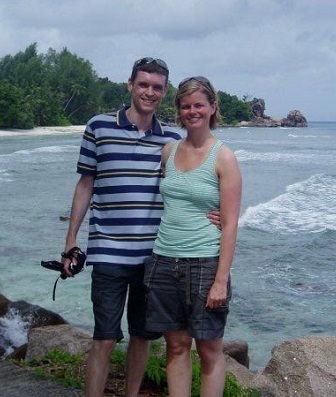 Jenny has also helped me rethink our frequent holidays in Spain and make it part of my healthier living regime. I try to plan my meals for the week and record what I eat in My Fitness Pal, which Jenny then monitors and gives me advice on. It is reassuring to know that someone can give you advice on this, often with just a quick email, that keeps you on track. Jenny never criticises or shows disappointment, but tries to help you look for the triggers that make you overindulge and ways you might avoid it. Eating out is always more of a challenge but Jenny’s useful tips and advice have made that more manageable too. Each week our personal training sessions have helped me to get stronger and fitter, I have gradually lifted heavier weights and seen muscles develop that I never knew were there and feel quite proud of them. My workout plan and programme during the week has reinforced this and regular measurements and weigh ins have really motivated me. When I was at school I hid from PE and games and hated every minute of it, but now I even go out for short runs and have persuaded a couple of me neighbours to join me. The cost of a personal Trainer was something that had always put me off in the past but working in a pair has reduced that and you get the added bonus of seeing each other develop. Liz’s developing strength has motivated me to try harder too. I hope to continue with motive8 as long as I am fit and able and Liz has even set me a target of a family 10k. I have only managed 4k so far, but who knows? DESPITE LOTS OF CORPORATE EVENTS I'VE DROPPED TWO DRESS SIZES AND HAVE LOST OVER 10% BODY FAT! My Motive8 experience has had a huge positive impact on my life. Before I googled 'Personal Training Leeds’ I was on the slippery slope of putting weight on through lack of exercise, working long hours and bad eating habits (including plenty of corporate lunches) when I decided something needed to change! At that time despite working long hours I managed to start prioritising my workouts, training 4 times a week. I also changed the focus on my food, and started eating a much healthier, balanced diet and cut down on alcohol. This had a huge impact on my weight, helping my lose over two stone and drop two dress sizes. In May 2015 I gave birth to my little boy, Jenny trained me throughout my pregnancy keeping me in shape and helping to minimise any excess weight gain! 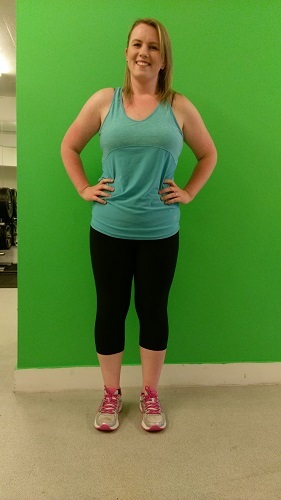 Once I could start exercising again after my pregnancy I was back into my personal training sessions, and gradually lost any post-pregnancy weight, body fat and inches. Due to work and family commitments I couldn't train as often as before, but with Jenny keeping a close eye on my food and setting me specific training plans, I was able to hit my goals. I love training, I'm no longer afraid of the weights area and am on track for mastering being able to do a full pull up. I still have many corporate events I need to attend but knowing which are the healthy food choices I should make helps to keep me on track and I've now maintained my pre-pregnancy weight and dress size for the last two years. When the idea of motive8 first came about in 2011, we had two main goals. Firstly, to get results with our clients. We believe our testimonials speak for themselves! Secondly, to create an exercise community where people enjoyed to exercise, and we’d like to think we’ve achieved that too! We’re a bunch of results driven personal trainers, but the key to getting results is to get people to enjoy what they are doing. 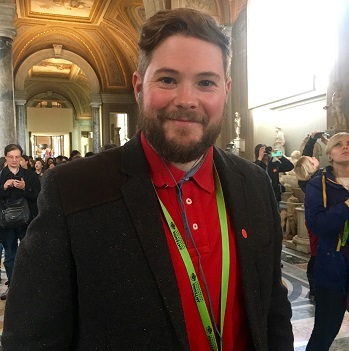 Results don’t always have to mean getting a PB in a 10k, losing 4 stone (although we’re pretty good at achieving these types of goals too), results can simply mean being more active and eating healthier. We’re not the type of personal trainers to turn up, put you through your paces and buzz off, nor do we keep our trade secrets close to our chests! We love to share our knowledge so you can achieve your goals and are empowered to make healthy lifestyle choices. We also support you every step of the way. We’re in this for the long run….are you? Stuck for inspiration with your meals then why not try one of our simple, healthy recipes to add some variety to your diet. Don’t worry our meals aren’t only lettuce leaves and lentils nor do they take hours to make. Just like you, we love quick, simple but tasty healthy meals which everyone enjoys. We even enjoy the odd healthy treat, so take a look for some nutritional inspiration! Try one of our weekly workouts to spice up your training routine, our workouts are often focused on routines which you can do without any kit, at any place and any time, so no excuses! 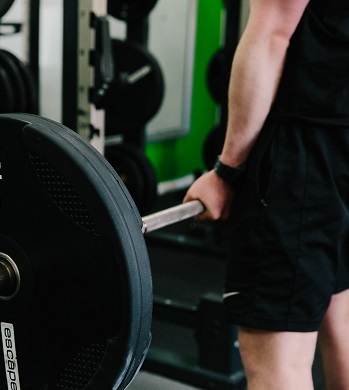 Delve into the minds of the personal training team at motive8 as they share their top training secrets, motivational tips and training routines. At motive8 we love anything to do with health, nutrition and exercise and we love to share our ideas too. Follow our blog and keep up to date and motivated with top training tips, workouts, recipes and nutritional nuggets from the personal training team. Let the expert personal trainers at motive8 help you look and feel amazing on your Wedding day. Whether you choose our Do It In 12 Package, have 1:1 sessions or train with your partner-to-be or bridesmaids, we will help you get in shape for your big day. Regardless of your exercise experience, working with a personal trainer can seem pretty daunting. Put your worries to one side and let us show you how you can achieve your goals. 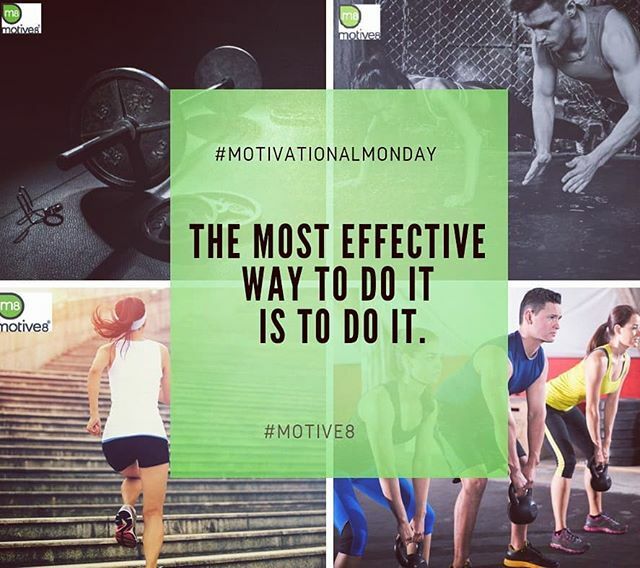 At motive8 we believe our jobs as personal trainers, is not only to motivate you, but to educate you so your new healthy habits become part of your lifestyle for the long term. We’re not into quick fixes, we want to show you how to make your healthy lifestyle become part of your everyday life. All of our sessions are tailored towards you, your goals, your lifestyle. We understand that personal training is not only a financial investment, but also an investment of your time and we want you to get the best results from this investment. That’s why we only employ highly qualified, knowledgeable, inspirational personal trainers to work with you. Our personal training team include Strength & Conditioning Coaches, Nutritionists, Biomechanics Coaches, Sports Therapists and Psychologists. Whatever your goal, we can help you to achieve it. We have great success with a wide variety of clients. Whether you want to run your first 5k, do a triathlon, lose weight or drop a dress size or two or simply become more healthy and active we can help. Whether you choose 1:1 personal training or group personal training your journey starts with an initial consultation so we can discuss your individual needs and how we are going to achieve your goals. Tailored, personalised workouts, lifestyle and nutritional support all come as standard. During your first training session we perform a series of movement screens to make sure you are moving efficiently and help us to address any imbalances. We perform a health assessment based on your goals, set short term and long term goals and review these every 6 weeks to make sure you’re making the right progress towards your long term goals. Even if you’re not in a training session, we’re always at the end of a phone to support you. Feel like you can’t be bothered to go workout, then pick up the phone, and we’ll give you some motivational words of wisdom to get you there! If you’re looking for results but need the support and advice from a professional then give the personal training team a call. When I first got in touch with motive8, the brief was ‘help me be Fit and Fifty, not Fat & Fifty!’. Without the effort and help from the team at motive8, it just wouldn’t have been possible for me to achieve the results I have. 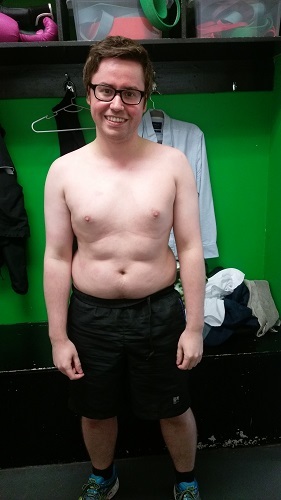 In time for my big ‘FIVE-0′ birthday, I lost over 4 stone and a total of 74 inches, dropping my body fat from 39% to 24.5%. 8 years later I’m still training with motive8, I’ve maintained my weight and dress size and the weekly sessions with Jenny help to keep me on track to staying healthy and in great shape! Outdoor fitness classes and boot camps are offered at motive8’s Marshall Court studio. Our exercise classes focus on improving your fitness, strength, muscle tone, metabolic rate and body composition. If you want to shift fat, get leaner, fitter and stronger then come along and try a class. Your first class is FREE, sign up today! Our exercise classes are suitable for all fitness levels and our team of trainers will work with you during your first class to ensure you are using the correct technique. Our fitness classes are fun and friendly and our current timetable offers the perfect lunch time energiser or a post-work workout! Focusing on big movements such as squats, lunges, pushes and pulls – this class is guaranteed to improve your strength and fitness. Get ready to watch your metabolism soar and blast your body fat as you power through this class! You can’t beat good old fashioned circuit training for a total body workout. Muscle endurance, toning, cardio and fat burning. The result? A leaner, fitter, stronger you! A high-energy fitness class which includes a mixture of boxing and interval training. Want to tone up, burn fat and get fit? Then this class is right up your street! Using High Intensity Interval Training techniques we focus on burning as many calories as possible. Work hard, rest hard……and reap the benefits of HIIT training! I love the friendly atmosphere in the classes, that is what sets motive8 apart in my opinion. It makes me look forward to my Monday evening class even more, I know I’ll get a good workout with the added bonus of a good laugh with some great like minded people. If you don’t enjoy working out in a large, intimidating health club then the motive8 Marshall Court gym in Leeds is right up your street. The gym has the same high standard of equipment you would find in a larger health club just on a smaller scale. When we first open the gym in 2011 our aim was to create an exercise community, which we believe we have achieved. In addition to providing all of our members with their own personal workout plan, we organise fun monthly gym challenges and events for our members to take part in outside of the gym such as The Yorkshire 3 Peaks and The Abbey Dash. Our friendly, personalised service creates a fantastic training environment, why not sign up for a monthly gym membership and join us? 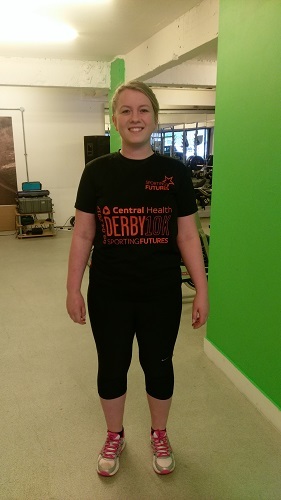 All of our members receive a gym induction and free personalised exercise programme when they join the gym so they are confident they are performing the correct exercises and working at the right intensity to achieve their goals. We also offer complimentary body composition assessments and fitness testing sessions for gym members. To ensure we deliver a high level of service and so the gym doesn’t get over crowded we limit our membership numbers. There is free parking and showers at the studio. If you live or work in the Leeds’ South Bank area the motive8 Marshall Court studio is perfect for you. A small and focused gym in Leeds geared to helping you achieve your goals around your work schedule. A practical and friendly approach to exercise where everyone at every level is welcomed and helped, training at motive8 has helped to improve my health and confidence in the gym to no end.